Starting this Friday, March 22nd, we're pleased to introduce 2018 SPON Muscat! 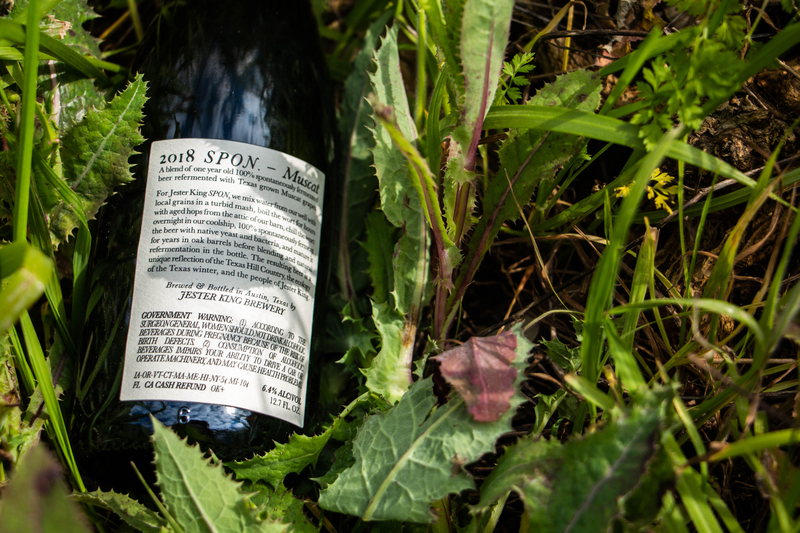 2018 SPON Muscat is a blend of 100% spontaneously fermented beer refermented with 2,000 pounds of Muscat grapes from Sulpher Bluff, Texas (2018 harvest)! The grapes were really pleasant, reminded us of honeysuckle and flowers, and refermented very nicely with SPON. 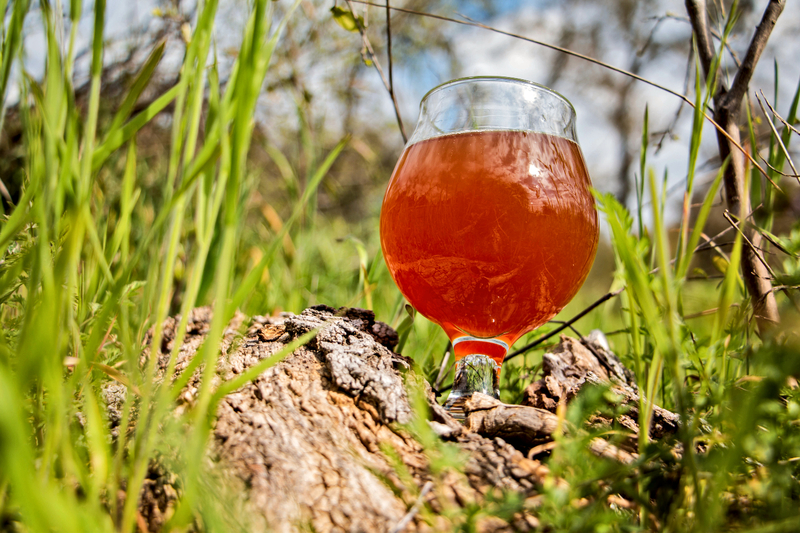 Our SPON beers (short for "spontaneous") are brewed with unfiltered well water, Texas malted barley, Texas raw wheat, and aged hops from our barn. The wort sits overnight in our coolship and collects wild yeast and bacteria from the air before spontaneously fermenting in oak barrels for typically one to three years. They are then conditioned in bottles and kegs through natural refermentation. 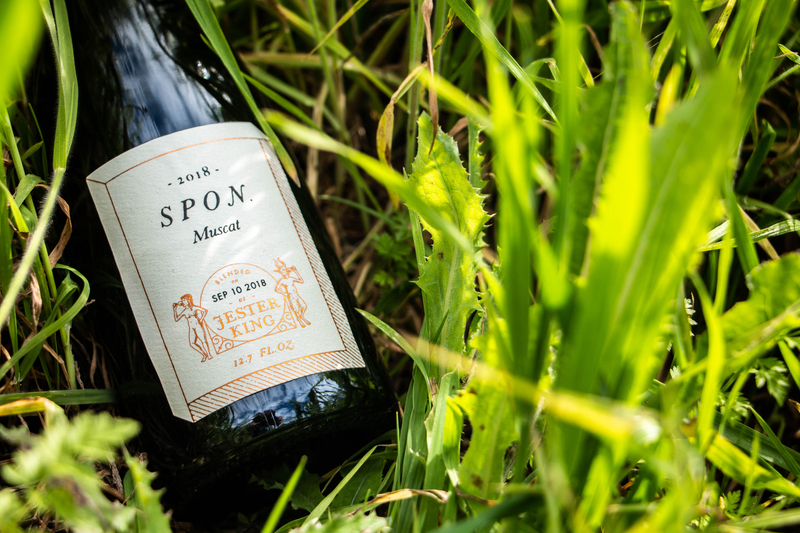 As we state on our label, SPON is a unique reflection of the ecology of the Texas winter, the Texas Hill Country, and the people of Jester King. 2018 SPON Muscat was blended last September and packaged last December. This is our second batch. The "vintage" date is based on the year the beer was packaged. It's 6.4% alcohol by volume and will be available at our restaurant and tasting room by the glass and in bottles to go (375mlx$25). We have about 2,500 bottles and the bottle limit is four per customer per day. Outside of special events, 2018 SPON Muscat will only be available at Jester King. Cheers!